ZipJob has an A- BBB rating, though it is worth noting that they are NOT BBB accredited, which, does give me pause. Once you get a BBB record, accreditation is a really nominal fee to prove you uphold basic business standards. Also, at the very top of their BBB page is this note in red: "On December 12, 2016 the Better Business Bureau raised concerns about this firm’s advertising on https://www.zipjob.com/ and requested that this firm substantiate the following claims: 1) 76% of Resumes are deleted by resume screening technology; 2) Over 91% of employers use Applicant Tracking Software; 3) 93% of recruiters view your Linkedin profile before hiring; 4) A well-written cover letter can boost your chances of an interview by 50%; 5) 100% Satisfaction Guarantee and 6) 100% Satisfaction. As of January 24, 2017, the business has not responded to BBB's requests for clarification or modification of the aforementioned issues.​"
They're new. According to the BBB, they've been around for three years, which suggests a founding of 2015... though the earliest the show up on the WayBack Machine is October of 2016. Looks like they offer the usual array of resume services, which they divide into only three categories, which they call LAUNCH, FAST TRACK and PREMIUM. This actually concerns me a bit, because offering only three rather vague pots to find your career situation in tends to be a tactic some of the cookie-cutter template-and-paste services use. Also, premium also means, from what I can tell, that you get your resume back in 3 days, as opposed to 4-6 days, which, frankly, is way slower than industry average. A 60-day rewrite guarantee. So, that's good. Standard. If you'd like to view some of their work, ZipJob has a comprehensive library of Sample Resumes for your review, including specific before-and-after examples. Their pricing is right in-line with the industry average. 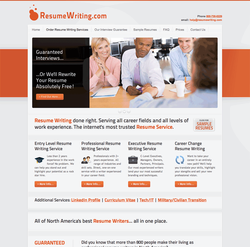 While ZipJob affiliates itself with the PARW, they specifically name their writing staff on site, and not all of the writers named are certified resume writers. They claim a large range of HR and even other non-career-service affiliations, which can be fine. But I tend to like to see a resume company that is made up primarily of certified resume writers.